Our duck footprints stamp is perfect for duck lovers. 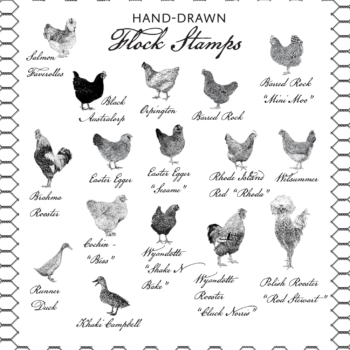 We love to decorate the edges of our duck egg cartons with this stamp. 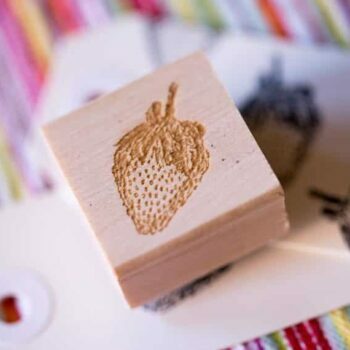 Our stamps are laser-etched in eco-friendly red rubber – a 100% renewable resource – and mounted on natural maple wood. The design is also laser-etched on the top of the stamp. Production time is approximately 1 week from the time of your approval of your proof. Expedited shipping is available but does not shorten the production time. Rush orders may be possible, please contact us for details if you need your stamp quickly.